Maulana Fazlur Rehman, chief of his own faction of Jamiat Ulema-e-Islam and leader of the opposition in the National Assembly, has lashed out at the government. He has tried to achieve multiple objectives through his Sunday press conference in Lahore. Despite a late and indirect denial of the central element of his statement against the government, most papers covered his views, albeit with different headlines. Mr Rehman has alleged that the Pakistani government is deceiving the US and the West by helping militants enter Afghanistan from Waziristan. He said that the government should reveal the identity of the infiltrators and explain its reasons for launching these people into Afghanistan. Mr Rehman says these men are being moved from Waziristan to military training camps in Mansehra before being sent into Afghanistan. This is explosive stuff. Why would Mr Rehman choose to make such sweeping allegations? The answer to this can perhaps be found in his statement at the same press conference that “if pressured, I will reveal facts that will open a Pandora’s box” (emphasis added). This means that Mr Rehman is feeling the heat of some government measures and is signalling to the government to lay off. Still, the question is: Why would Mr Rehman — a religio-political leader whose party is the biggest vote-getter in the MMA (Muttahida Majlis-e-Amal) alliance — make such an allegation? 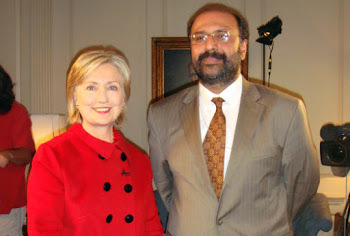 Mr Rehman was at one time identified with the Taliban and even gave anti-US and pro-Taliban statements. Why should he oppose an alleged official policy that presumably seeks to undermine the Pakistan and Karzai government? For an answer, let’s hark back to the time Pakistan got involved in Afghanistan. The thin end of the jihad wedge at the time was the Jama’at-e Islami. It was the JI-ISI combine that ran the jihad against the Soviets in Afghanistan. Not surprisingly, Gulbuddin Hekmatyar’s Hezb-e Islami was the leading group that Pakistan was supporting. The Deobandi JUI, Mr Rehman’s faction as well as Maulana Samiul Haq’s faction, were mostly out of the loop. 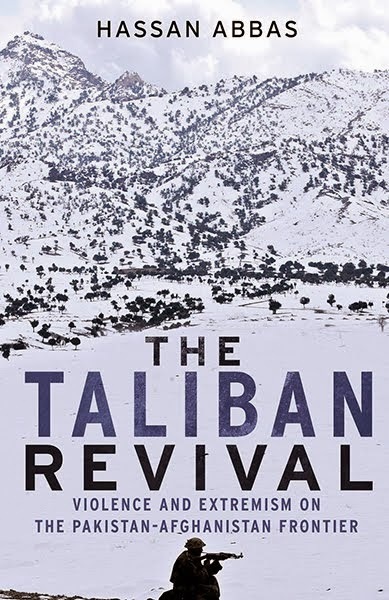 By the early 1990s, however, with Afghanistan having plunged into a fratricidal civil war since the withdrawal of the Soviets in 1987, the JUI got the opportunity to play a role in Afghanistan when Islamabad conjured up the policy of using the Taliban. Mr Rehman was then an important ally of Benazir Bhutto’s government. However, on the ground, it was Mr Haq’s JUI faction that appropriated the Taliban, most of whom, followers of Maulvi Nabi Mohammadi, were educated in JUI-S seminaries. This period saw the decline of Mr Rehman, both as a political and a religious leader. It was during this period that he employed the device of making anti-American statements to capture his religious vote-bank and cosy up to Mullah Umar. At the same time he got down to the task of reorganising his political party. By the time of the US attack on Afghanistan, Mr Rehman had pulled himself up. A combination of factors — government rigging in support of the MMA but primarily in support of the JUI, mobilisation of seminary students, the Pashtun factor, pro-Taliban sentiments and anti-American feelings — helped the JUIF to emerge as the largest vote-getter within the MMA. Mr Rehman has since played his cards well, securing for himself the position of leader of the opposition and keeping his governments in the NWFP and his coalition partnership in Balochistan safe. Indeed, he would have been even more successful but for the hard line taken by Qazi Hussain Ahmed, amir of the JI, who is looking for a direct confrontation with the government. Mr Rehman’s objectives are now clear. He wants to retain his two provincial governments because that allows him to retain and work on expanding his political base; he also wants to safeguard his religious interests because those interests translate into political power for him; so he will criticise the government but not do anything that could radically upset the current power balance; he wants to distance himself from extremist elements and the jihad underground because that does not fit into his scheme of things and so on. However, pressure from outside has forced the government to go for a broad sweep against all religious hard liners. Islamabad also seems to be in the process of reviewing its policy of subterranean alliance with the MMA. Mr Rehman feels that measures against the seminaries and getting the courts to disqualify MMA candidates from contesting municipal polls suggest that Islamabad is changing the rules of the game. This has forced him to lash out at Islamabad. Mr Rehman employs religion to appeal to his constituency for political purposes. He feels that the heat is wrongly on moderate religious elements like the JUI. This is why he was quite specific in making his allegations when he said: “We ask the rulers to reveal the identity of the people being transported to Afghanistan from Waziristan via Kaali Sarak in private vehicles.” It is instructive that he said the government was accusing clerics of promoting religious extremism and militancy although they (JUI clerics) were playing an active role in restoring peace in the tribal areas. Mr Rehman is really cut up with the government for not having done anything in the wake of his humiliation at the Dubai airport. He feels that the UAE government treated him shabbily because Islamabad is signalling to the world that the extremist trouble can be directly traced to religious parties including the JUI. Mr Rehman’s allegations are serious. He should have thought twice before making them. He may now be keen to deny them. But the damage has been done.